To begin, there are two burning questions; the first being this, is Tim ‘Ripper’ Owens the busiest man in metal? 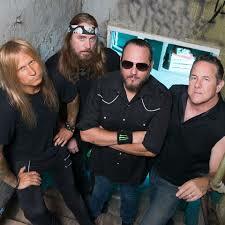 And does the world need another band with Ripper Owens singing? Because of this, it is very difficult to actually keep up with which band fronted by Owens is currently active. 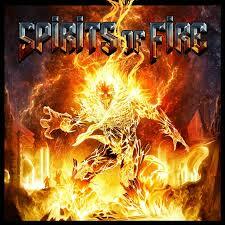 Last year, it was announced that the former Judas Priest and Iced Earth frontman was joining forces with ex-Savatage guitarist Chris Caffery and virtuoso bassist Steve DiGiorgio for their latest project Spirits Of Fire. This year see’s this new supergroup stamp their name on metal history with their eponymous debut album. As an album, ‘Spirits Of Fire’ sounds exactly as expected, it is a barrage of heavy and power metal in the vein of Iced Earth, Charred Walls of the Damned and Judas Priest. Therefore, with ‘Spirits Of Fire’, there isn’t anything here that hasn’t been hard before. However, this is a solid album, one that is mature and professional that draws on the members past and present bands to create an album that is both fun and enjoyable. Tracks here such as ‘Light Speed Marching’, ‘Stand And Fight’ and the title track juxtapose perfectly with ‘Never To Return’ and ‘Alone In The Darkness’ that proves something that we already know; these members are capable of portraying a wide spectrum of emotions within this album. However, as strong as ‘Spirits Of Fire’ is, much like Owens’ other work, it is more than decent, but rather immemorable. This does not take anything away from this album and whilst it is playing, the album is thoroughly enjoyable with each member reminding us why they are masters in their field. For any fan of heavy and power metal as well as Ripper Owens, ‘Spirits Of Fire’ is definitely worth listening to and purchasing and although it is treading worn ground, this makes this album have a warm and familiar feel that certainly goes a long way to enjoying this album.